In a simple disk manager, you can adjust disks. In our case, we do not want to divide disks, we only have one and want to use its full capacity. Continue with Next. Particular disks or partitions can be created, deleted, extended and formatted. All those actions are very easy to do in the graphical interface, however, I recommend that for careful and experienced users. Disks can be easily distinguished by number (Disk 0 and higher), as well as partitions (Partition 1 and higher). 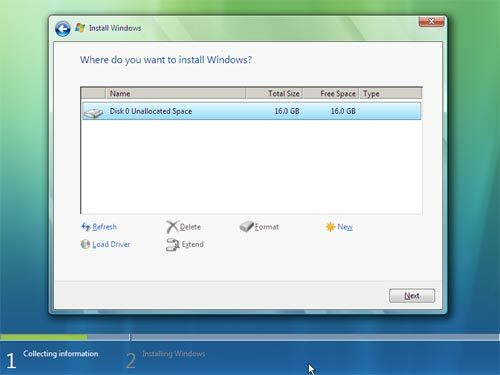 Partition extension is a new feature which is, in fact, a change of the partition size without loosing data. The partition size cannot be reduced! The Load Driver button you can use for atypical disk controllers, however, I have never needed that feature yet. If you do not find the driver, there is no Back button and you have to go back to the beginning of WinPE. 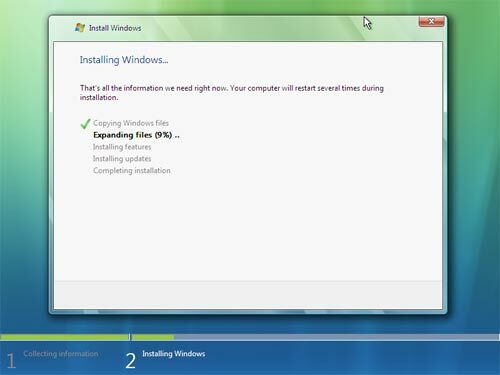 Before the next important step, you will see a screen with the installation progress which will take several minutes. Install.wim is being unpacked from the DVD or other source to the chosen system partition. The file unpacks and adapts to HW. 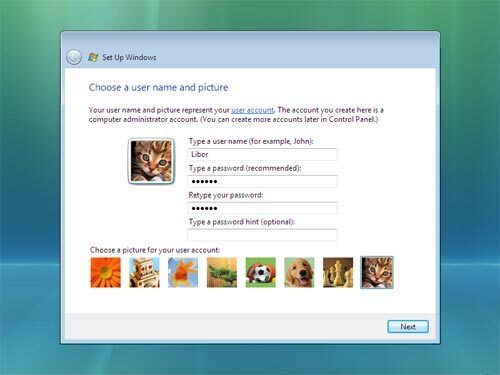 Selection of a user name and picture. If you do not enter the password, you will be logged in the system automatically. It is recommended that you always use the password. Selection of the computer name and desktop wallpaper. Options for automatic protection. Detailed information will be displayed after clicking on "Use recommended settings". Automatic installation of important and recommended updates. Advanced settings for Spyware in Windows Defender - Automatic scan and removal, SpyNet information sending. Microsoft Error Reporting Service - options for error report sending. Option: Install important updates only. 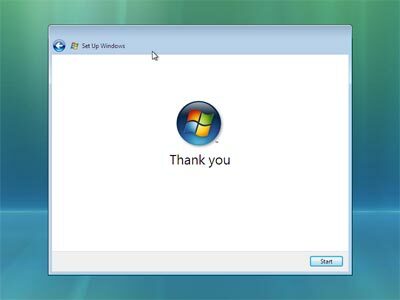 Installation of drivers from Windows Update. 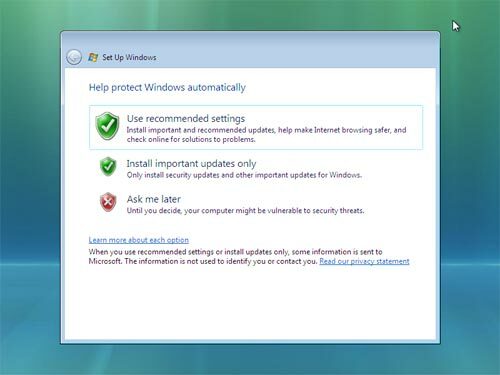 After starting Windows, the Windows Security Center is displayed and you can confirm or adjust security settings. 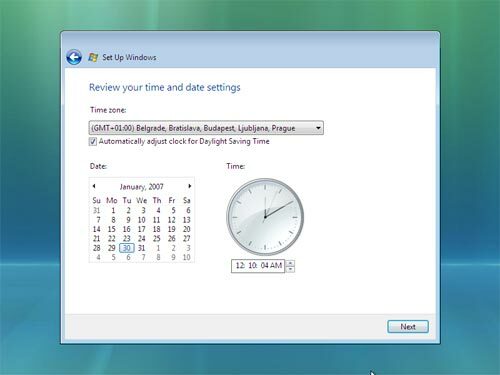 Settings for time zone, current date and time. 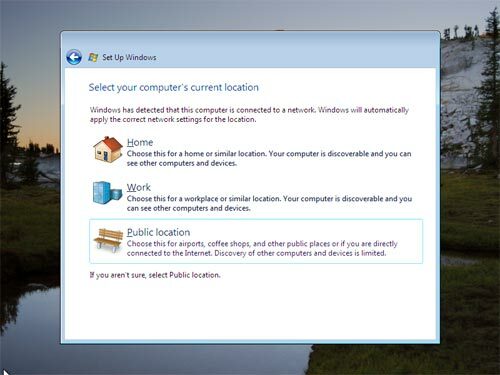 Specify your computer location so that the Internet gateway can be set. The security topic would make a new article. Finishing setup. 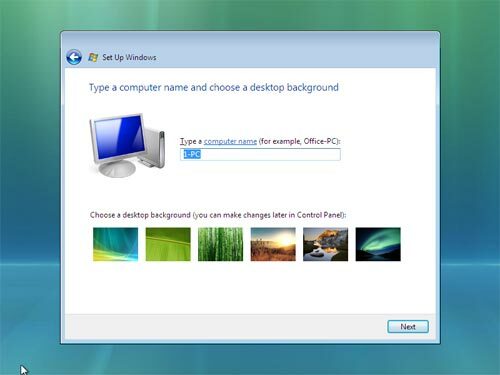 After clicking Start, the final installation processes will start and the computer performance will be reviewed (you can view the result after installation to identify weak points of the computer). Login screen (if password has been set). The first login usually takes a bit more time. 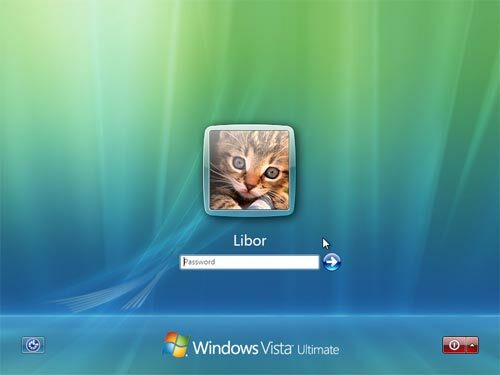 After login, a welcome screen is displayed.